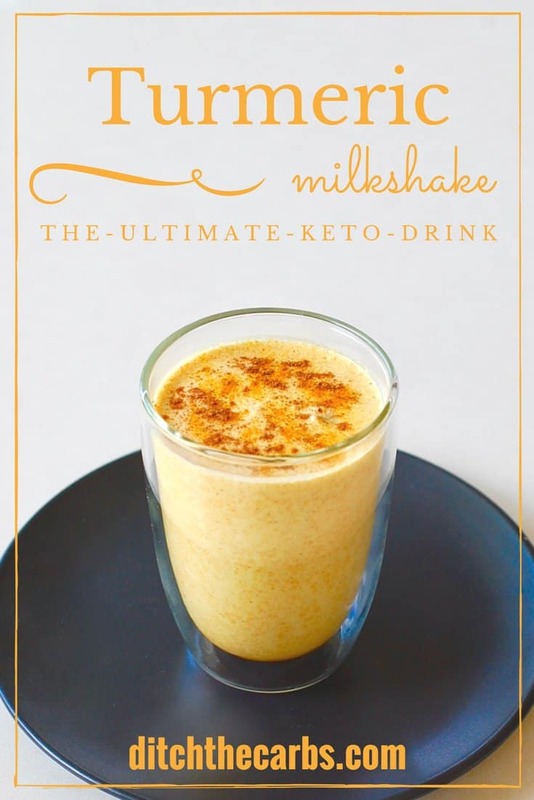 The keto turmeric milkshake is from the new cookbook “The Keto Diet”, written by Leanne Vogel. 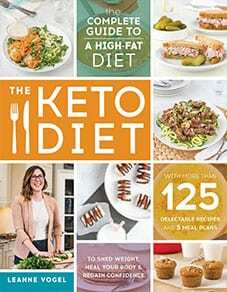 There is an International book giveaway at the end of this post, so scroll down to read my book review and enter to win your very own copy of The Keto Diet – the complete guide to a high-fat diet. My friend Leanne Vogel has just released her very first printed cookbook, Keto Diet – the complete guide to a high-fat diet. I have been promoting her low carb and keto meal plans here for some time so I was so excited to receive a copy of her paperback. It is enormous, weighing in at a whopping 4lb, so it also works great for kitchen dumbbell curls. She has been working on her book for a year and you can tell. It is an amazing, full and comprehensive guide to living low carb and keto. infographics galore to wrap your head around the many facets of keto and low-carb. To buy The Keto Book from Amazon click here. If your country cannot access Amazon, click here to buy from The Book Depository. They give FREE worldwide delivery. This recipe is known as “the Fat-Burning Golden Milkshake” in The Keto Diet cookbook. The high fat content will keep you full for hours and hours. The turmeric, ginger and spices gives it a subtle kick and depth of flavour. It is more nutritious than a regular sugar-laden milkshake, or that morning cup of coffee. It is egg free, nightshade free, nut free (depending on the milk used) and vegan. You can use any dairy substitute, I chose to make mine with coconut milk, which thickens to a dreamy creamy milkshake because of the addition of the ice-cubes to the keto turmeric milkshake. But you could also use any milk substitute that you can tolerate, such as almond milk. In the picture above I used coconut milk to make my keto turmeric milkshake. I have also successfully made it using 50:50 coconut cream:water when I ran out of coconut milk (oops). It can be enjoyed cold or heated gently. 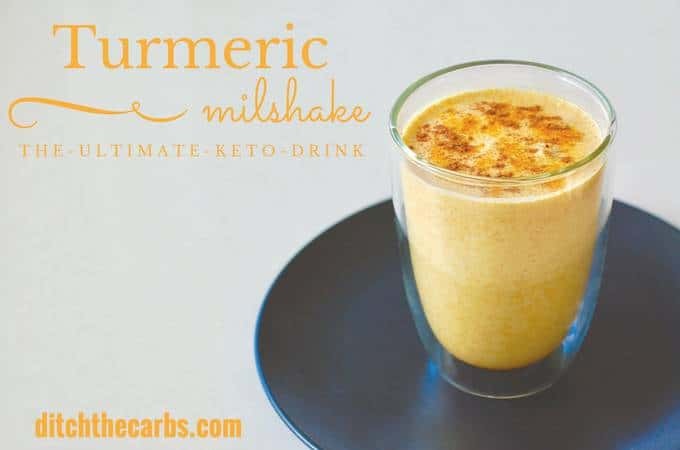 The keto turmeric milkshake will certainly warm you up, no matter which way you choose to serve it. If you love the look of Leanne’s new cookbook, why not try her meal plans? A complete guide to keto & 30 day meal plan. The complete beginner’s guide + 30 day meal plan. Help your body burn fat as energy instead of glucose. 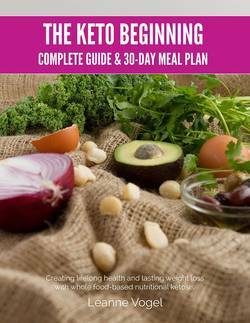 17 chapters with everything you need to know to get into, and maintain, a state of nutritional ketosis using a low-carbohydrate, high-fat, moderate protein, whole food-based approach. For the chance to win your very own copy of The Keto Diet cookbook, simply complete the following. GOOD LUCK! How to enter: the more ways you enter, the more chances you have to win The Keto Diet cookbook. Remember, it can be shipped worldwide. Ticket 1 (required) – Subscribe to my FREE newsletter, if you are a subscriber already, great stuff. Just enter your details in the Rafflecopter box below. Ticket 3 (optional) – Leave a comment below telling me you have made the Keto Turmeric Milkshake, and how much you looooove it (or something to that effect). The giveaway will run from Monday 1st May 2017 until Friday 5th May 2017 6pm NZ time. Your email entry has to match the email address you subscribed with. This is a worldwide giveaway. One winner will be chosen at random and notified by email. Their email will be sent to the publisher to arrange delivery of the prize. Made with unsweetened cashew milk, and also added ground pepper blend to help absorption of the Turmeric. Wasn’t sure if I liked it with the first couple sips, but about halfway through the glass, I decided it was OK. I found myself wishing it was warm instead of cold. I’m used to drinking warm turmeric tea, so am definitely going to make this again, but the warm version, and I’m sure I will love it. According to the nutrition label… No fat, 7 grams of carbs, less than 2 grams of protein? It may be healthy, but this is NOT Keto! Just read this , and I am certainly going to try it. Especially to see if it calms my sweet tooth. Does anyone else have their coconut milk curdle with this recipe? I had no issues the first few times then had two batches curdle…. quite unpleasant. I just tried your recipe and it turned out to be delicious. Its not only delicious but yummy and healthy too. The use of Canola Oil in Leanne’s book is very disappointing. It has stopped me from buying it. This is my new first time making this drink through reading all of the wonderful comments on its taste. This was super yummy! I used unsweetened vanilla almond milk (2g net carbs per 8 ounces) and used Stevia to sweeten. I used 1 tbsp of cold-pressed, organic hemp oil and 1tbsp of coconut oil (the solidified kind, which is the only kind I had on hand… thought it might be weird but it was fine). Even my 8 year old liked it and demanded I make him one too! Stevia sometimes tastes weird in certain recipes, but in this one it really tasted like it had sugar in it! What an excellent recipe when I get a sweet craving! I used the coconut milk that comes in a can. Is this wrong? It tastes amazing, but seems really high on fat, as well as carbs. The recipe calls for 375ml coconut milk, which is basically the whole can. I used my magic bullet for mine. It really stuck to the side of the cup. Is that normal??? I had a wonderful time scraping it all off, like left over cake batter as a kid, but was just wondering it that was correct. Also, I used 4 oz of Heavy Whipping cream and 4 oz water mixed as base. This was soooooo good. Thank you for posting for the world to enjoy. Made shake this am but it did not get thick. Taste was great but would like thicker. Maybe more ice cubes? Did you use coconut cream? True coconut cream os 20-25% fat so will thicken beautifully. Sorry I am late, but better late than never! Dr called I am borderline too much sugar he said low carb diet and bingo- here I Am! Super Tasty and Super Healthy, I am already in day two drinking the Keto Turmeric milkshake and I love it!!! I have made this for breakfast every day this week using unsweetened cashew milk and a little Virtue sweetener. I love the spices and will be having a warm cup before bed tonight. ❤️ all the Instagram posts/links and your blog! I really want to try this. Warmed up before bed sounds nice to me. This “golden milkshake was so delicious”! Even my hubby loved it! I’m a little confused about the nutrition info: it says to use non-dairy milk, yet the nutrition panel says this drink has 6.9g total carbs, which seems like a lot. Where are all the carbs coming from? I use Almond Breeze, which only has 1g carb per cup, and SweetLeaf stevia, and by my count, the recipe adds up to just 1.5g total carbs, which is great. Just want to make sure I’m not unintentionally consuming hidden carbs. 🙂 Thanks for all the great recipes! The nutrition panel is from The Keto Diet cookbook. It doesn’t state which milk they used, but I did mention that we need to calculate our own nutrition because all the milks and brands vary so widely. I used coconut milk which is higher in fat and lower in carbs. It was superb. Then what you posted on nutrition is deceiving, you make your reader think they are only consuming 300 calories when in fact if they use a full can of coconut milk like you suggest they are really consuming over 600.
ketogenetic diets are not calorie counters, they’re macronutrient percentage based. chill, friend. I agree the nutritional info is confusing. Which ingredients is it including, and which does it not? If it includes everything but the milk, then where is the fat from the oil? Where are the carbs coming from? Also, I believe that many keto people like me are absolutely calorie counters. Calories are calories and it is very easy to go overboard on a high fat diet. Eating the right macros proportion will still make you gain weight it you are consuming more values than you burn – even if they are fat. Elaine- Carbs also come from the spices. All spices have carbs along with the carbs in the type of milk is used. I would say, never really use the info given as you should always calculate for yourself. She mentioned to do your own calculation and that it was based on what she used. I’ve been wanting to try something like this…just as soon as I find the Turmeric I bought! This is my pre-bed time snack! So good! I’m having this every morning and it tastes really good. I’ve also tried the Turmeric paste, will have to make that again soon.I’d be thrilled with a cookbook to make my journey easier. I made this tonight, used unsweetened almond milk as that’s all I had. I added a sprinkle of Natvia to sweeten it a little. I also added black pepper, as I heard this helps with the tumeric properties. Verdict: It was a lovely warm, silky drink. I hope it’s as good for me as it tastes. I have several friends that make this LOTS of honey and I always decline when offered some. Now I can have some!!! Thank you. I ❤️ this!!! This recipe looks terrific! I’ll try it today! Thanks for all the awesome suggestions! I added sweetened chocolate almond milk to mine and skipped sweetener, it was heaven! If you’re not adding freshly ground black pepper into the mix then you’re not getting the bioavailability of the circumin, the active ingredient in turmeric, which kind of negates the other benefits of the drink, don’t you think ? Turmeric, in my opinion, has an odd taste. But this turmeric milkshake is delicious! I highly suggest you use a turmeric “paste” (or just turmeric with added ground black pepper) with added ground black pepper to promote absorption of all of the healthful benefits of turmeric. Seems the body has trouble taking it up when eaten otherwise. Thanks for this wonderful milkshake idea, trying it out first thing this a.m.! LOVE LOVE LOVE tumeric so I am whipping this up for breakfast today! It looks awesome. Two in one drink. Warm milk to help with sleep and tumeric to help with weight loss. Now what more can a girl ask for?? Love all your guides and recipes…wonderful resource for new starters and old keto hands! I haven’t made this yet, but I am going to, this evening, instead of my usual latte. It looks great, and I have fresh tumeric! I’m sure it will be amazing as in all recipes you provide. Absolutely loving all of the yummies I’m finding here thank you for all you do. I have been making my own version with high fat cow’s milk, (heated) and it includes a pinch of ground black pepper. I was told this is important but am not sure of the science! I take it to bed and it is very comforting as the weather gets colder. This is a great recipe to get turmeric into your diet. I’m obsessed with turmeric, so this really floats my boat! Yum! I haven’t made it yet, only just saw the recipe. Definitely getting the ingredients soon & going to try it. Plan on trying the milkshake tonight! So yummy! I made mine with unsweetened almond milk!